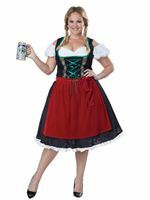 Travel Back to the Middle Ages with our Adult Elegant Empress Plus Size Costume. Our Adult Elegant Empress Plus Size Costume will make you feel like True Medieval Royalty complete with a Velour Long Dress Decorated with a Beautiful Gold Trim and an attached Faux White Underdress with a Ruffled Neckline. 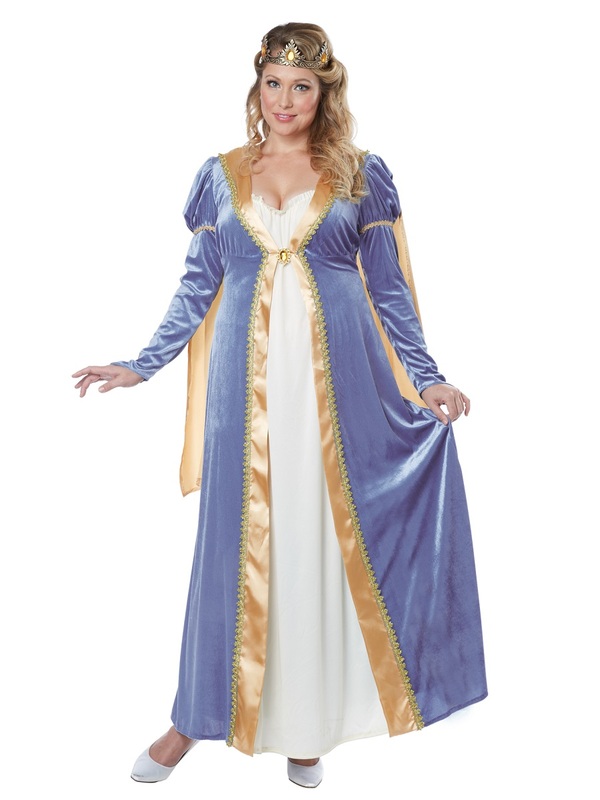 The Renaissance Dress also includes an attached Gold Cape and Puffball Sleeves. Completing this Historical Empress Costume is the Gold Half Crown with attached Jewels and Coordinating Jewel Pin which attaches to the Centre of the Bodice. Packaging will display US sizing. 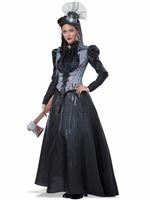 Please note that the Costume is a Turquoise Colour not Purple as the image suggest.